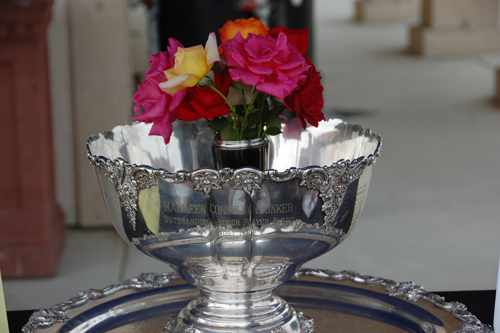 The USTA Girls' 16 and 18 Nationals ended the way they began, on stadium court under partly sunny skies with a warm and dry 70 degree temperature. 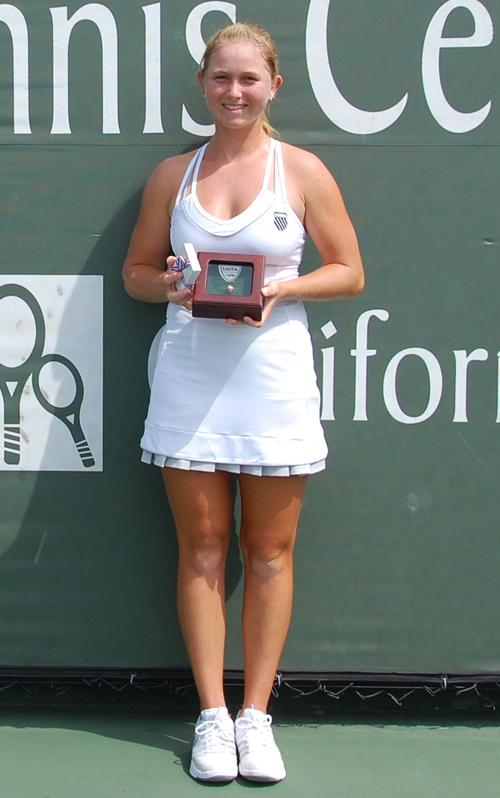 The only difference in the end was that one lucky winner was holding up a Gold Ball for first place and getting ready to take advantage of a wildcard into the U.S. Open Women's Singles Championship. The final match in the Girls' 18s took nearly three hours and it couldn't have gotten much closer. 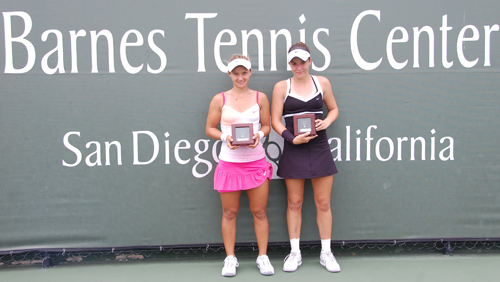 Top-seeded Lauren Davis and fourth-seeded Nicole Gibbs had been in the position of playing each other many times before. In fact, they had even done it off the tennis court, as young kids on the soccer field in the Cleveland area of Ohio. They both knew before they got on the court that neither was giving up easily and that's exactly what happened. Nearly every game went to deuce and the players traded breaks back and forth. The first set went into a tiebreaker, with Lauren taking it at 7/3 from a frustrated Nicole. It didn't take the Stanford sophomore long to recover, though, as the second set was the most one sided of the match, in Nicole Gibbs favor at 6-1. The third was the one that counted and they both knew it. The games were long and the girls became frustrated at every missed ball. Breaks were traded at the beginning, but the only lead held was for Nicole at 3-1. After that, we were back on serve, despite more break opportunities for the fourth seed at 3-2. It was the final break that would be the only one that counted, as Lauren Davis took the set 6-4, along with the Gold Ball, the Maureen Connolly Brinker Cup, and a ticket into the U.S. Open women's singles draw. 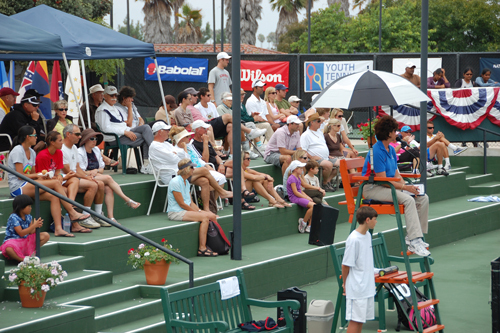 The winners' circle at the Barnes Tennis Center in San Diego is a familiar place for Lauren Davis, who won the Girls' 16s title here twice (2008 and 2009). Last year, she played the 18s and lost to Nicole Gibbs in the semifinals so she knew what she was in for and she didn't want it to get away, "We've gone three sets almost every time we played," said the 17 year old. "I know she's really, really tough and I had to step on the gas from the very beginning." 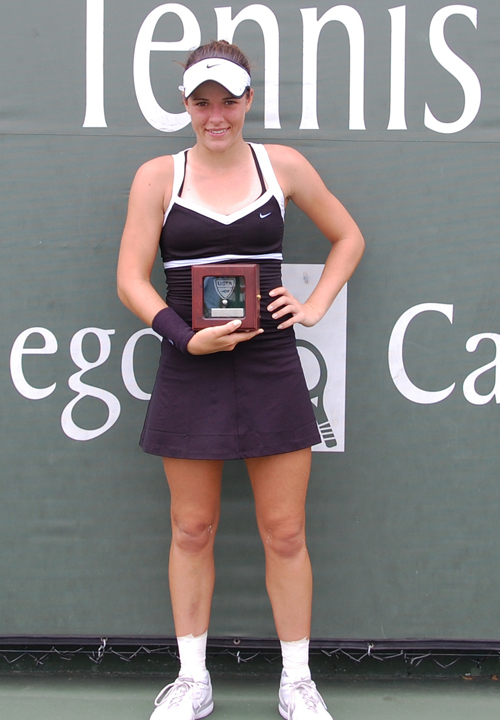 Nicole Gibbs, who lost in the finals of the Girls' 18 Nationals last year (to Shelby Rogers), couldn't hide her disappointment, but was not dwelling on it, "You have to have a short memory in tennis for your losses, and also for your wins. It's a very day to day sport and you take a lot of losses. Some of them are a little harder to take than others, but I have to get ready for the U.S. Open now." 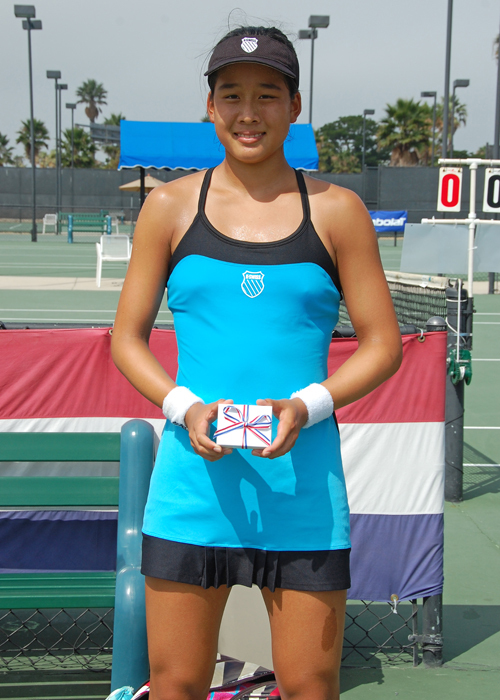 With her finalist placement at the tournament, Nicole will receive a wildcard into the Women's Singles Qualifying, which starts on August 23rd. 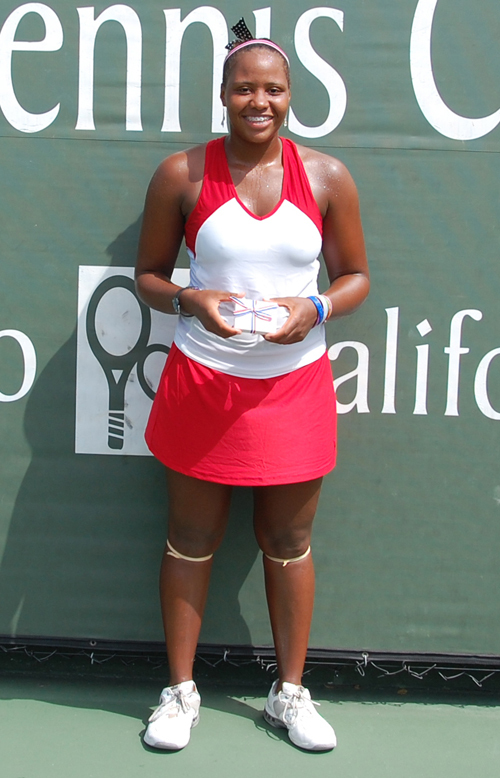 In other matches on Sunday, Krista Hardebeck, another Southern Californian who is just shy of her 17th birthday, showed 15 year old Taylor Townsend a bit of what she has learned playing ITF junior and professional circuit events. Despite some impressive volleying from the Georgia who trains with former touring pro Kathy Rinaldi at the USTA Training Center, the match belonged to Krista in the first set at 6-3. Taylor pushed it a bit more in the second to 7-5 with some crowd-pleasing points before second-seeded Krista took home the Bronze Ball for third place. In the consolation final, Madison Keys was the winner over Ellen Tsay, 6-2,6-1. 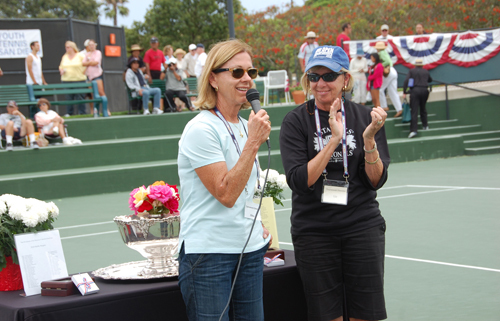 Tournament Directors Ellen Ehlers and Liz Blum (above) did a spectacular job in their first year at the helm and I look forward to working with them for many years to come. Many sponsors also helped make this event a great one, but I'd like to add my personal thank you to: Siggi's Yogurt, an Icelandic blend in similar fashion to Greek yogurt that kept me protein intake in check; Luna Bars, forever my favorite bar on the go; San Diego Convention and Visitors Bureau, whom I look forward to having more time to work with in the future; See's Candies, makers of the best lollipops in the world; Einstein Brothers Bagels, always reliable wherever I am; and the Hilton Hotel San Diego Mission Valley, for 10 great days of a comfortable room, reliable internet and a convenient restaurant with healthy options. And, thanks to Tamer Gurmen for providing massage services. Marcia P.S. There are tons of photos on the Facebook page. Be sure to check out the album labeled Players. If you are interested in purchasing photographs for personal use from the USTA Girls' 16 & 18 Nationals, contact Marcia@MarciaFrost.com.